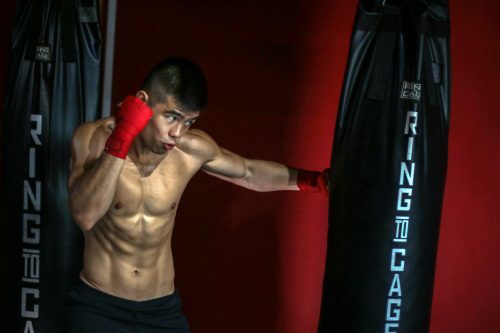 A SEA Games medalist, overcoming objections from his family to excel in Boxing. 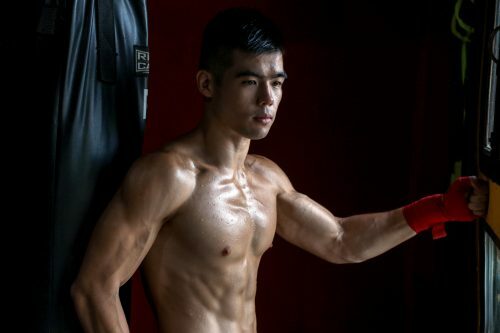 This week we speak to Tay Jia Wei, a National Boxer in the Welterweight Category. DO YOU THINK YOU COULD OUTLINE YOUR BOXING CAREER TO EVERYONE, FOR THOSE WHO DON’T KNOW YOU? I have represented Singapore in regional as well as international tournament for the past few years now, managing to clinch a Silver Medal in the 2015 Sea games. SO HOW MANY YEARS IN TOTAL NOW HAVE YOU BEEN FIGHTING? I have been boxing for 8-9years, competing for the past 6.5 years. IN TERMS OF NUMBERS OF WINS VS. LOSSES, I’M SURE EVERYONE OUT THERE WANTS TO KNOW JUST HOW GOOD YOU ARE JIAWEI. HOW MANY WINS HAVE YOU HAD? I WOULD IMAGINE THERE’S SOME AMATEUR BOXERS OUT THERE WHO’RE LOOKING TO GET TO YOUR LEVEL, DO YOU THINK YOU COULD OUTLINE YOUR TRAINING WEEK SO THEY GET A FLAVOUR FOR WHAT IT TAKES TO BE A NATIONAL BOXER ? Training varies depending on the the intensity of the workouts, physical condition as well as work schedule! Usually I try to train 6 days a week, 3 times a week i train twice a day. Training consists of mostly drills, padwork, bagwork as well as sparring. Other forms of supplemental training would be running, sprinting as well as calisthenic (bodyweight) training. WHAT ABOUT ON THE OTHER SIDE OF THE EQUATION, ARE YOU ON ANY SORT OF SPECIAL DIET AT THE MOMENT? I majored in nutrition so I understand how my body works and how much energy, what kind of food i need for my body. I try to get a good balance of carbohydrates, protein and fats into my system when im training hard while maintaining a caloric deficit at the end of the day. Carbohydrate and sodium manipulation is important especially towards fight week in order to make weight successfully. WHAT ABOUT ‘SPECIAL ROUTINES’ TO MENTALLY PREPARE YOURSELF BEFORE A FIGHT? IS THERE ANYBODY THAT YOU ASPIRE TO BE LIKE IN BOXING? AND JUST FOR ANYONE WHO IS ASPIRING TO GET INTO PRO BOXING ONE DAY AND THEY’RE TRAINING REALLY HARD AND PERHAPS THEY’VE COME TO A BIT OF A STICKING POINT. WHAT 3 PIECES OF ADVICE WOULD YOU GIVE THEM AS AMATEUR FIGHTERS? One. Know when your body needs a break and give youself time to rest mentally, physically and spiritually. Two. Always push yourself to the limits, you would be surprise how capable your mind is. Three. No shortcuts or easy way out. ANY FINAL PIECES OF ADVICE? PERHAPS TRAINING OR NUTRITION? Experiment with different diets and training routines. We are all built differently genetically and physiologically. Know what type of diet suits you the most and stick to it. Same for training regiments. Know which days to push youself to the limits and which days to tone it down a notch for your body to recover! ANY FINAL PARTING WORDS AS WE BRING THIS INTERVIEW TO A CLOSE? IT’S BEEN FANTASTIC TALKING TO YOU TODAY. No matter what you are expertising in, always give your best and never give up! Rise up to your own expectations and not others. Lastly, stay grateful and appreciative of life, because if you don’t, no matter how much you achieve in what you do, you wouldnt be happy. A big shout out to Juggernaut Studio for the shoot and interview. And thank you Jiawei for granting us the interview.